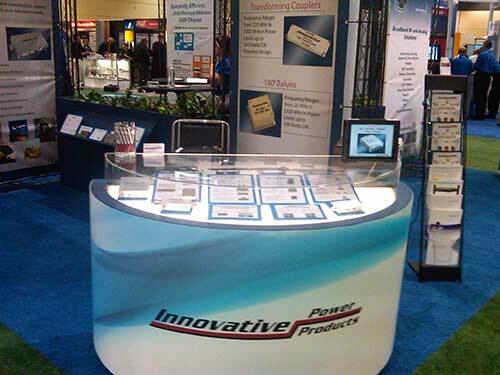 At Innovative Power Products (IPP) we build more than radio frequency products, we build business relationships. We become an extension of your company, an essential part of your team, and provide products and cost-effective solutions that meet or exceed your requirements. 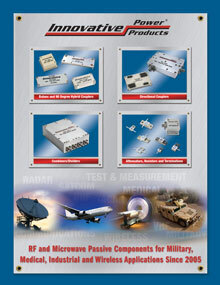 Innovative Power Product’s broadband products are used around the world in RF and Microwave applications in military, medical, industrial and consumer markets. Innovative Power Products is quickly becoming a market leader by offering our customers competitive prices, fast delivery worldwide and outstanding customer service. IPP’s innovative and reliable products are backed by exceptional Customer Service and Support. We are committed to our customers’ success, and we prove it in everything we do. Our Product Services include applications engineering and contract manufacturing. 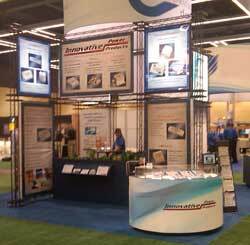 Our trade show exhibits allow us to present our new products to the public, and to meet with our customers and answer their questions. Click to learn more about Career Opportunities at Innovative Power Products. View our U.S. and International Sales Representatives.